Sometimes iPhone XS, iPhone XR series are not satisfied by some users. They found that the newly released Android phones bring them a surprise. The OnePlus 6T is one of the amazing Android phone. The OnePlus 6T is an Android-based smartphone from OnePlus. It was announced on October 29, 2018. The OnePlus 6T is an incremental hardware update to the OnePlus 6, removing the 3.5 mm audio jack, making the notch at the top of the screen into a smaller "teardrop" size, and providing an in-display fingerprint sensor. If you want a long battery life and and performance from an efficient Android build, the OnePlus 6T will be the right answer. Besides value, the 6T also offered new innovations that distinguished it from other phones; the in-display fingerprint scanner was generally praised as working well for a first-time implementation albeit with an inconsistent unlock speed, while "teardrop" accommodation for the front selfie camera at the top of the display was considered more aesthetic than the notch of other phones. In the following we will talk about streaming Apple Music on the OnePlus 6T without limitations. There are two methods to help users streaming Apple Music on OnePlus 6T, you can follow one according to your need. Step 1. Go to Google Play store to download the latest Apple Music Android app. Step 2. Open Apple Music. If you see an offer for a trial, tap Sign In in the upper-right corner. Otherwise, tap the menu button the Sort Options button, then tap Sign In. Step 3. Enter the Apple ID and password that you used when you joined Apple Music previously. Now you can enjoy Apple Music on your OnePlus 6T with ease. 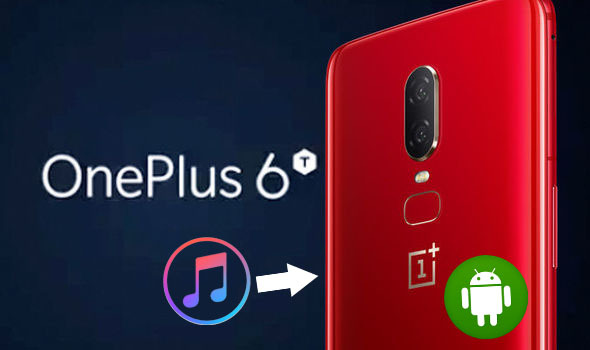 However sometimes you don't want install the Apple Music Android App on you phone, you can follow the Method 2 - how to stream Apple Music on OnePlus 6T without limitations or Apple Music installation. 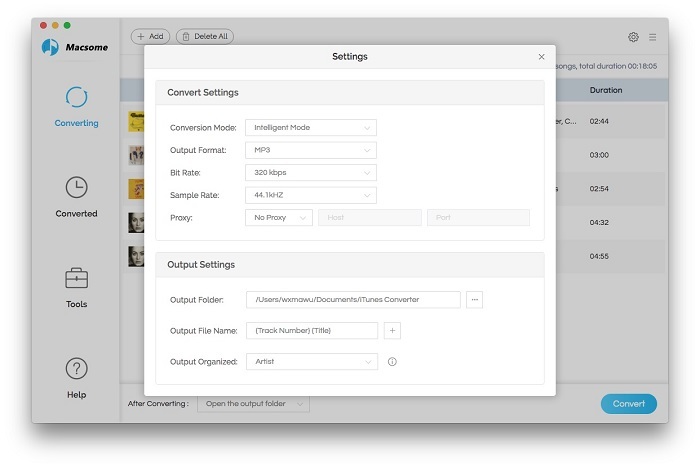 Before conversion, we need Macsome iTunes Converter to help us. 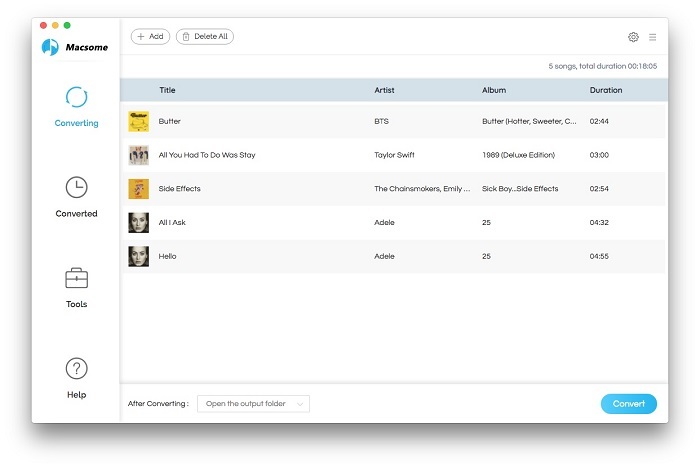 As you know all the Apple Music songs are DRM protected, and users can easily copy, transfer or play them freely, unless you can remove DRM from them and convert to unprotected audio formats. Step 3. Click the setting icon to set the output. There are MP3, AAC, FLAC and WAV totally four output formats for users to choose, and you can just to choose a suitable one and set the other parameters. Step 4. Click the "CONVERT" button to start converting. First, Install Google Play Music web player (click control panel on chrome > More tools > Extensions > add Google Play Music) on your Google Chrome. Second, Go to the web player and click the menu bar > select Upload music. 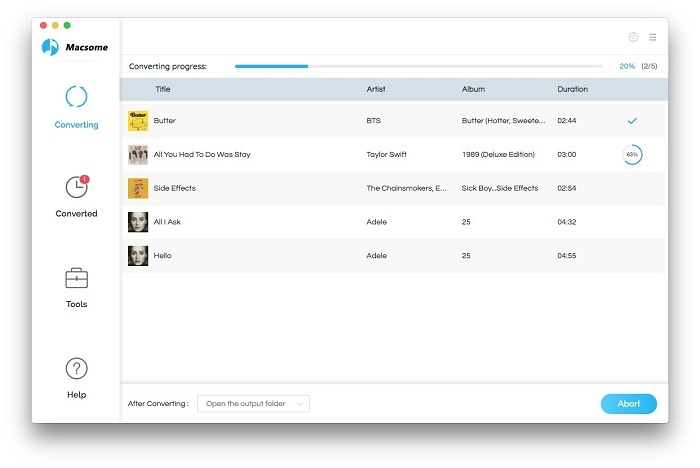 Third, Choose the converted Apple Music from local drive or drag & drop files. Finally, Launch Google Play Music on your Mi Box and click Setting button > Select your account > choose Sync to sync the Apple Music on Mi Box. Now you can enjoy Apple Music songs via Google Play Music on your OnePlus 6T, and also you can manage them easily.